ocean, and the mind opens into a vast landscape for night’s secrets. lean back and feel the breath of angels on my face. heart, brings me a centering stillness I could not live without. that soothes and guides, calms, and brings peace. 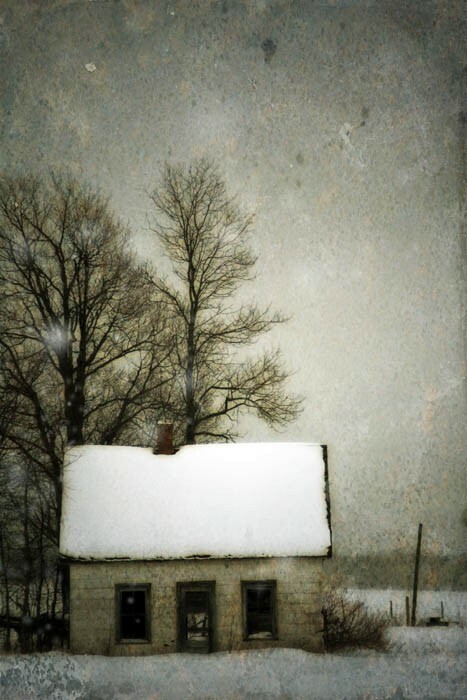 "The Rabbit House" is by photographer Jude McConkey and is available through her Etsy Shop. "...and I have become the stark stillness of winter." Oh my gosh this speaks to my heart. I have always been a "winter girl." Beautiful words to go with Jude's beautiful photo. Thank you.